at the Newton's Nook Designs blog! This biweekly challenge was a Color Challenge ! 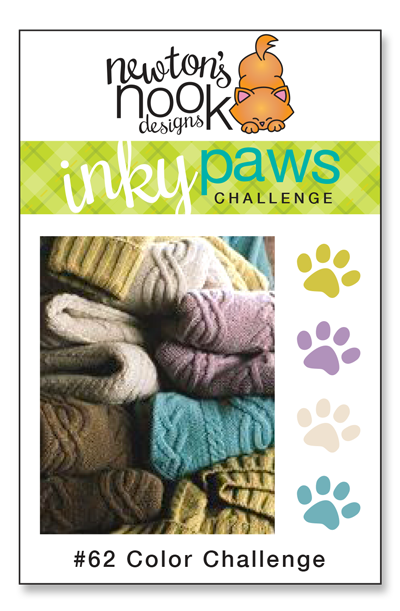 Inky Paws Challenge #62 Winner! 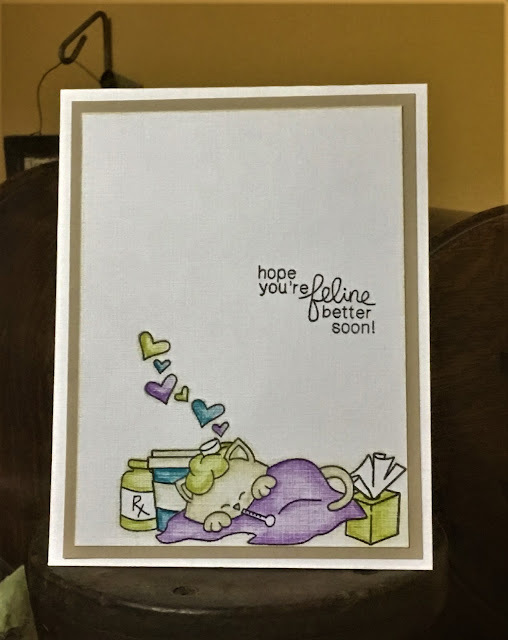 Sundaystamper creates this sweet card that is sure to help someone feel better! I love that she combined the latte cup from Fall-ing For You stamp set with Newton's Sick Day stamps because who doesn't need a jolt of caffeine when under the weather! Congrats to Sundaystamper! Don't forget to send us an e-mail at info@newtonsnookdesigns.com to claim your $20 store credit! (It's easiest if you already have an account set up in our shop). 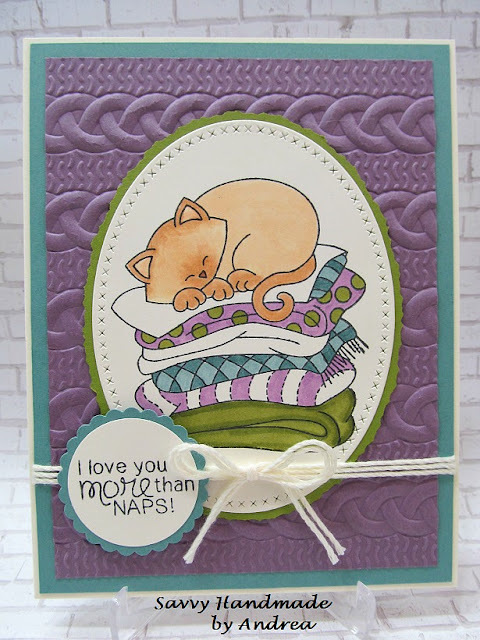 Andrea's embossing adds a perfect texture with the blankets on which the sweet kitty from Newton's Naptime stamp set is sleeping. 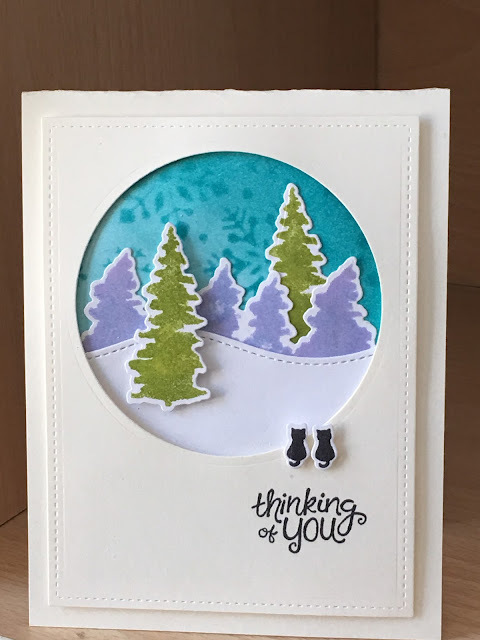 Sue creates a charming scene using Whispering Pines. We love how she put the scene into a frame, and those kitties steal the show! 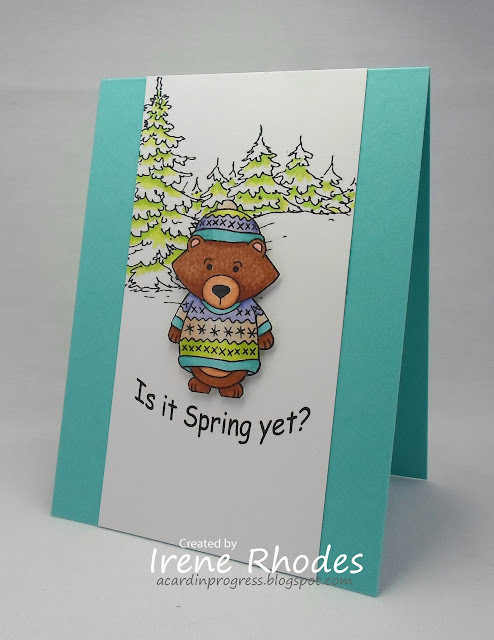 Irene perfectly colors Winston from Sweater Weather stamp set with such soft colors. I think many of us can agree with that fun sentiment! Not only was Sunnystamper our lucky random winner, she is Diane's FAVE this week. Congrats! This fun card featuring Fall-ing For You and Newton's Sick Day stamp sets makes for a purr-fect get well card! Kevin created this soft, sweet card using Sweater Weather stamp set. Love his CAS style and the way he colored the fox--so soft and pretty! Thank you so much for the win! I really love that I found your company and your wonderful stamps. I am allergic to cats but Newton can be a kitty in my house! Thanks so much for featuring my revised entry! !